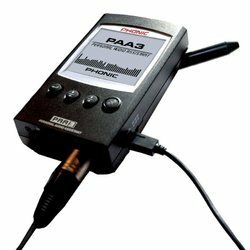 We are amongst the most reputed names in the industry, offering Audio Analyzer. RT-2M comprises a dual channel floating generator and a very fast dual channel Audio Frequency Analyzer offering multitone, stepped sweep and continuous sweep analysis. The built-in phantom power supplies allow direct microphone connection supporting acoustic test applications. 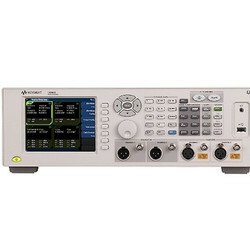 The APx585 is a true multichannel audio analyzer, with 8 simultaneous analog outputs and inputs. It is ideal for designing and testing consumer devices such as home theatre receivers or pro devices such as mixing consoles. The APx586 adds a second input module for 16 simulaneous analog channels in. Both models have 192K digital inputs and outputs via AES/EBU, TOSLINK and SPDIF.